Special Events Will Take Place during the Autumn SeasonFor those looking for something to do as they travel the North Fork of Long Island, they can visit the Long Island Game Farm during the fall season. The Game Farm is also an ideal destination for those who have not had the chance to visit during the summer season. 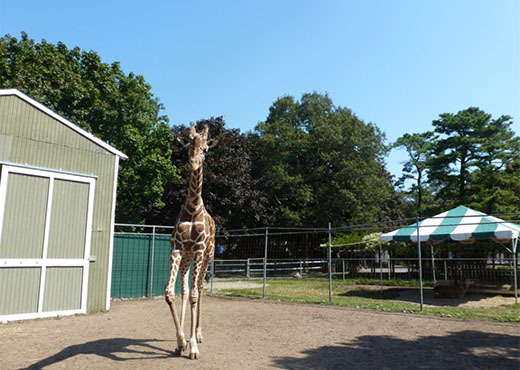 Located at Exit 70 off the Long Island Expressway, the Long Island Game Farm is the ideal destination for those who want to stop somewhere for some family-friendly entertainment while traveling to or coming from the East End of Long Island during the autumn season. Adults and children alike can see all of the Game Farm’s animals, for as long as weather permits. These include red kangaroos, kinkajous, cougars, Barbados sheep, peacocks, the giraffe and the only lemurs born and bred on Long Island. The Long Island Game Farm also has various breeds of monkeys, buffalo, colorful parrots, zebras, aoudads, camels, ostrich, alligators and much more. Visitors can also explore nature trails that lead to places such as “Bambiland,” “The Nursery” and “Old McDonald’s Farmyard.” They can also pet, cuddle and — unlike most zoos — feed the baby animals such as pigs, chickens, ducks, rabbits and ponies. For the children, there are carnival-style rides such as the Spinning Teacups, the Rio Grande Mini Train and the Antique Carousel. Pony rides are also available on weekends during the off-season. In addition, children can watch shows and animal activities that are offered every day. In addition, the Game Farm is offering events during the fall season including a fundraising event on October 4 to benefit Erik Callender’s Wildlife Kids Club International. Off-season rates are currently available. For prices, visit www.longislandgamefarm.com. After this season, the Game Farm will reopen on April 2015.